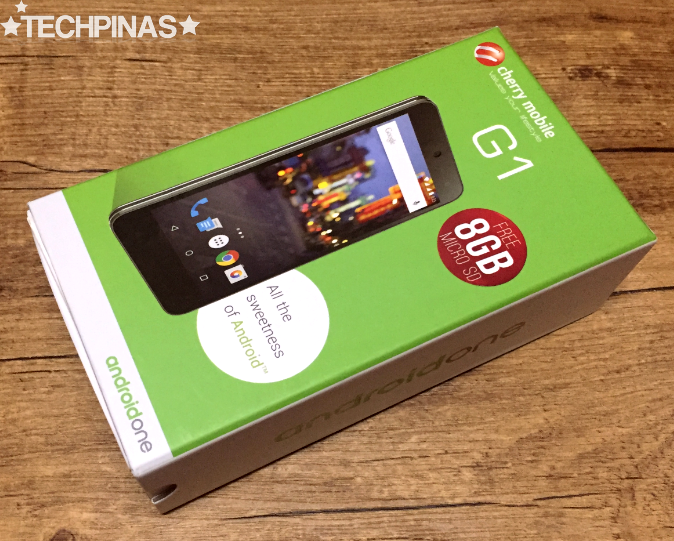 Cherry Mobile G1, the Pinoy handset maker's latest Android One release, is now available nationwide. 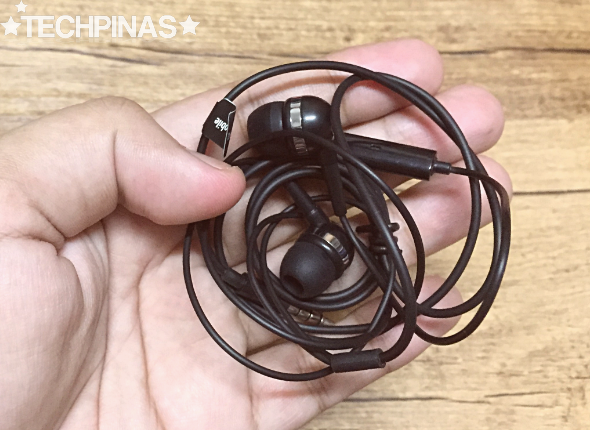 It's out in two colors - White and Black - and you can get it for only Php 5,999. 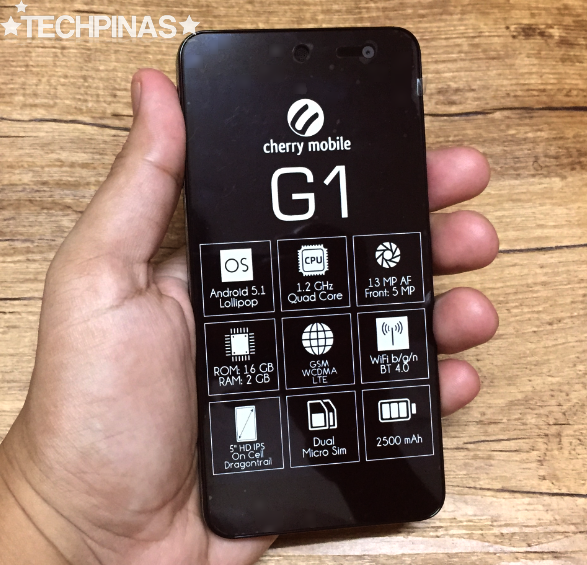 You can check out the complete technical specifications and key features of Cherry Mobile G1 via our initial feature about this cool smartphone. 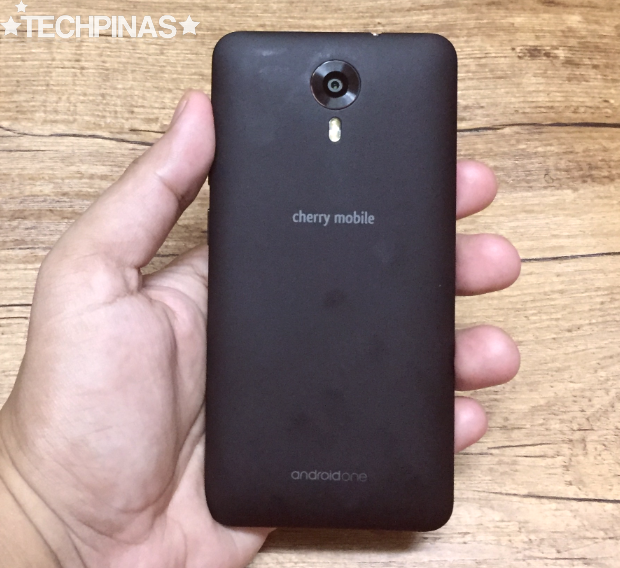 In line with the device's launch, let me share with you my Cherry Mobile G1 unboxing photos as well as my exclusive interview with Mr. Lonson Alejandrino, CM's Product Marketing Manager, on the main selling points of this model. 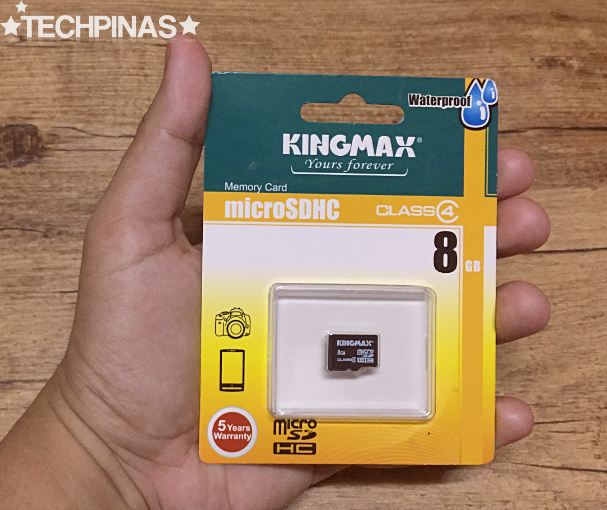 The standard retail package includes a free 8GB microSD card that you can use to expand the phone's already big 16GB internal memory. 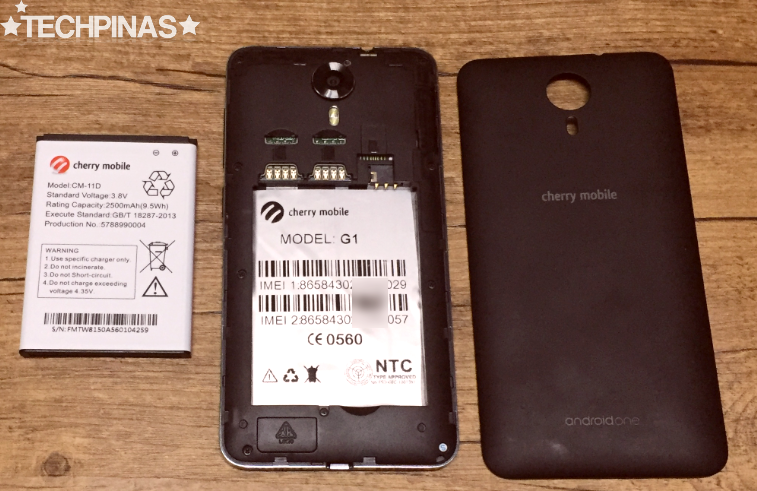 The box design looks large identical to the box of Cherry Mobile One released last February. 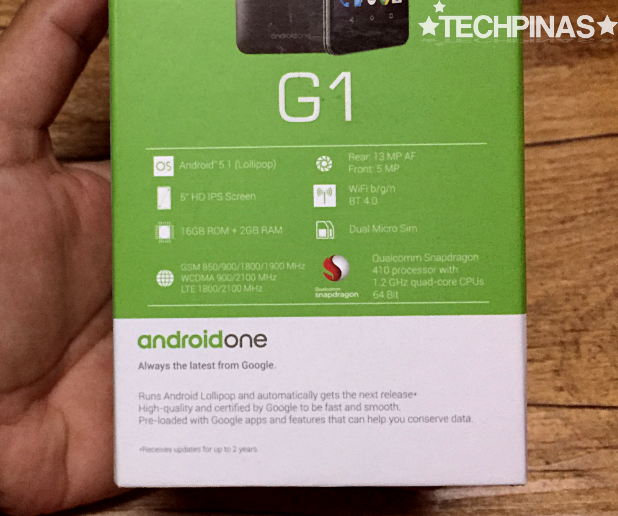 G1's key specs are printed on the box. It's not complete but items on the list are enough to more or less give you an idea of the phone's capabilities. 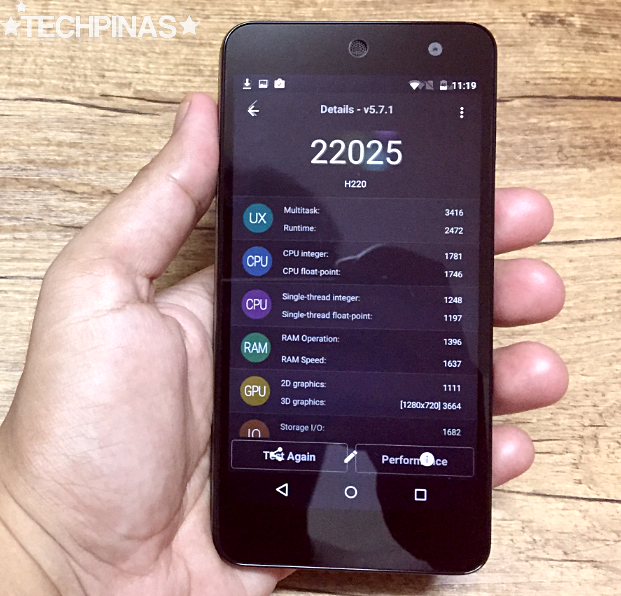 I wish Cherry Mobile would just print the complete technical specifications of their future releases, though, for the benefit of consumers especially the geekier ones. These are all the items included in the standard retail package; The unit itself, user manual, the removable 2,500 mAh battery pack, earphones, travel charger, and microUSB to USB cable (not in the photo but you'll get that too). The headphones have noise-cancelling in-ear silicone buds, which I like. Pry open the back plate to access the dual microSIM card slots and the microSD card expansion slot. This sticker protects the phone's Dragontrail Glass touchscreen during shipment and also shows a list of the handset's main features. It's a redundant, though, and I hope CM would just pre-install a transparent screen protector instead. 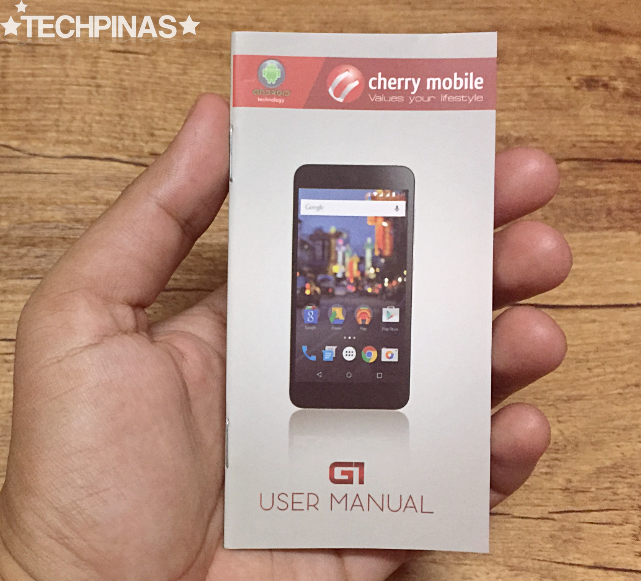 Cherry Mobile G1's 5-inch HD IPS display panel. Fairly crisp. The device has this chrome-plated accent running down its sides. 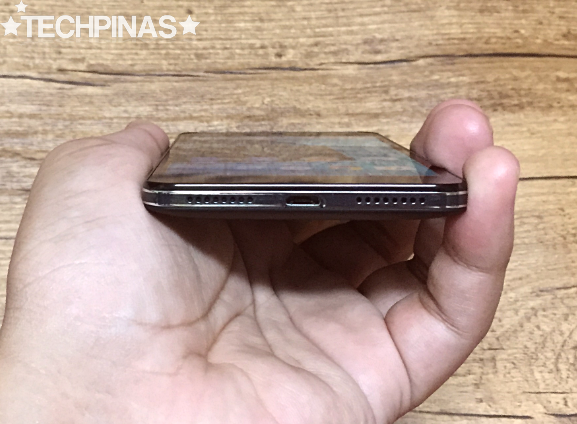 The loud speaker can be found at the rear instead of at the back, which means that you can enjoy sound better when you put the phone on the table while listening to music. The white version of the phone has a 'pearl finish' while the black variant has this matte texture. G1 sports a 13 MegaPixel autofocus camera with dual LED flash at the back that's complemented by a 5 MegaPixel front-facing cam for selfies. 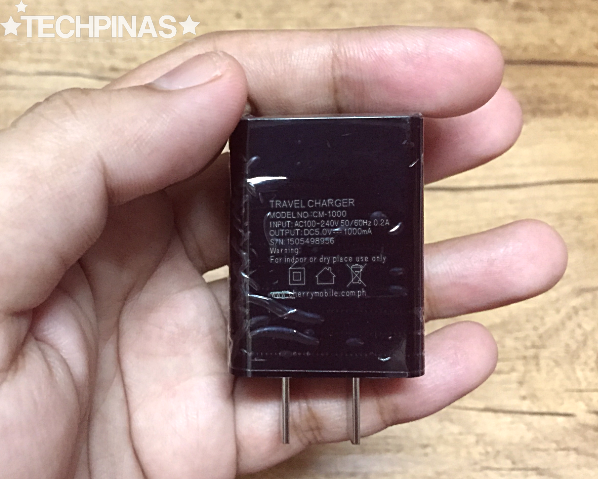 The travel charger with 1,000 mA output. If you have time, read the user manual. If not, you'll do just fine firing up the phone immediately and navigating the interface to learn how to use it. So generous of Cherry Mobile to include this accessory for free. 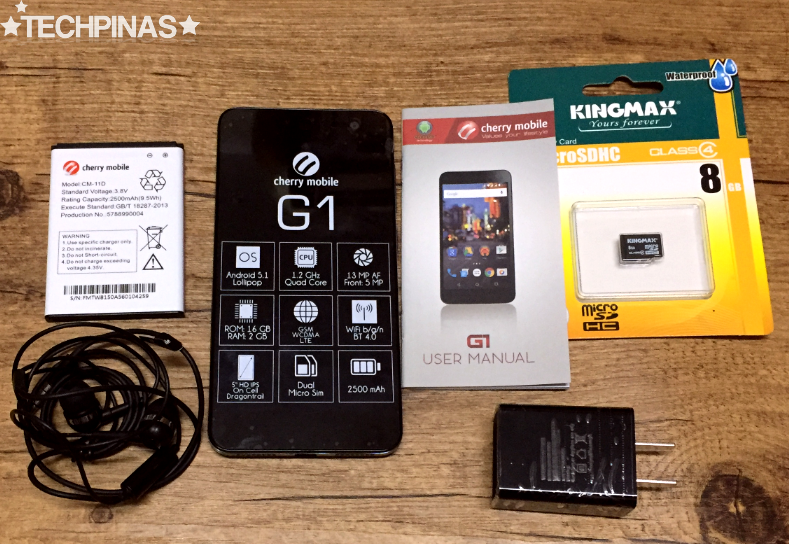 G1 runs the latest vanilla Android 5.1.1 Lollipop operating system with its 64-Bit Quad Core Qualcomm Snapdragon 410 chipset incorporating four ARM Cortex A53 cores and an Adreno 306 GPU, has 2 GB of RAM for seamless multitasking, and comes with 16GB of ROM. 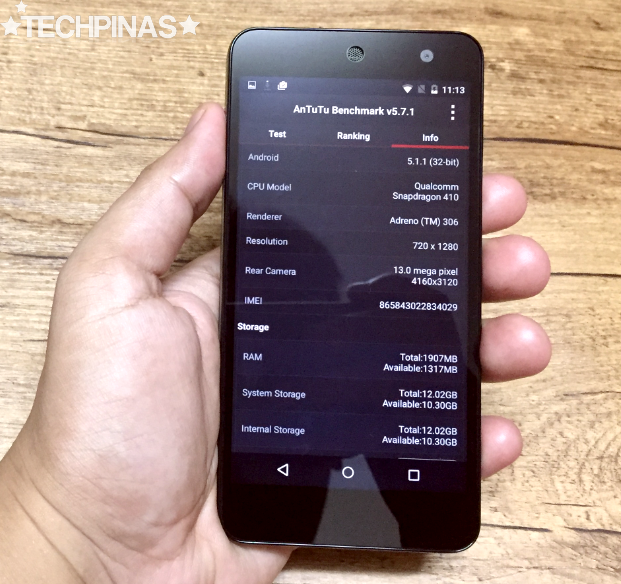 Not the best specs you'll find from CM in this price echelon but it's generally not bad for a Php 5,999 handset model. The combination of those internal hardware - among other things - gives the phone an Antutu Benchmark Score in the range of 21,000 to 23,000, which reflects its pretty decent gaming and overall touch performance. 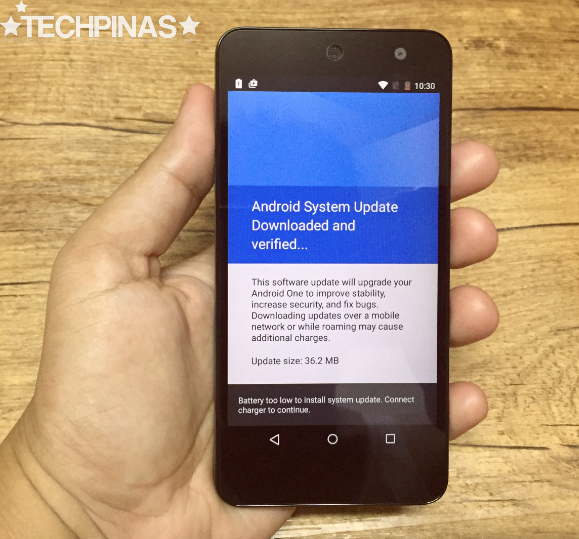 As an Android One model, perhaps the coolest thing about Cherry Mobile G1 is that users can expect the device to get software and firmware upgrades straight from Google itself! 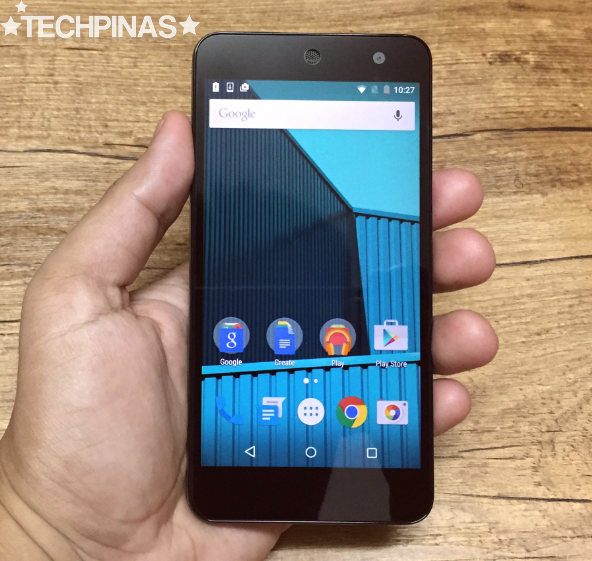 So if you want to always be the first to enjoy the latest version of vanilla Android operating system, this phone should be perfect for you. 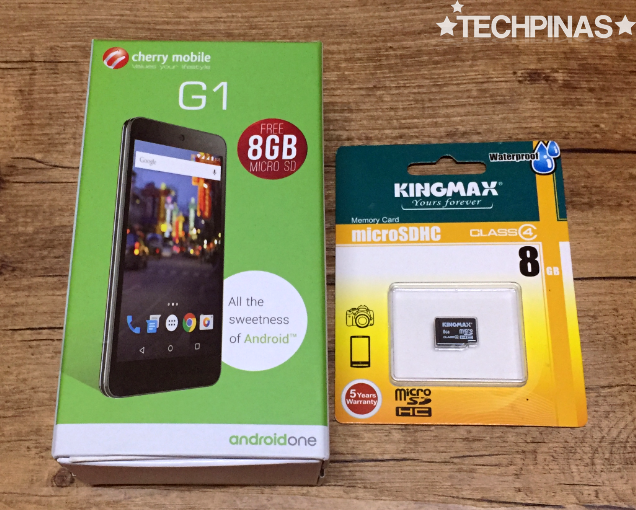 If you will, watch my exclusive interview with Sir Lonson of Cherry Mobile (above) to learn what he thinks are the five coolest things about the G1. 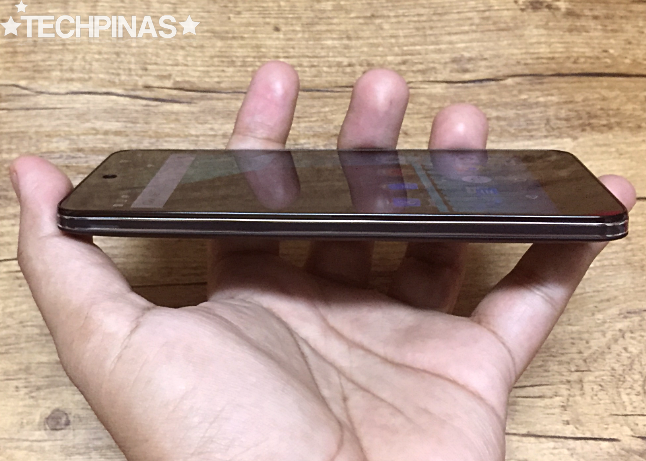 he also shared what he thinks is the kind of user who'd be most attracted to a handset model like this.